If you're reading this newsletter, I can only assume it's because you want your skin to look its best. That's why I want to make absolutely certain that you know what to do to protect yourself from the number-one attacker of the health and beauty of your skin: excessive sun. Sun protection has received a lot of attention in recent years. But despite the avalanche of information about its contributions to aging, wrinkles, and even cancer, far too many people still aren't taking the advice seriously. In fact, a recent study found that 70% of people still don't even use sunscreen. 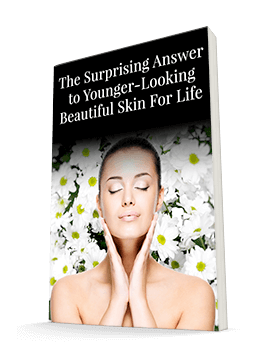 Here you will find the information you need to stop making excuses and start maintaining the beautiful skin you've worked hard for. First things first: vitamin D. Yes, vitamin D is important, but far too many people use it as an excuse to skimp on sun protection. The latest recommendations for getting enough sun for vitamin D production are to spend 10-15 minutes in the sun three to four times a week. That's it. So if you want to make sure you're getting enough vitamin D, set a timer when you go outside. 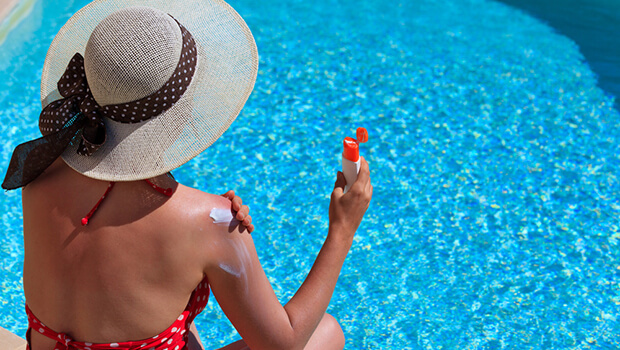 Don't lounge by the pool for an afternoon without sunscreen and claim it's for your health. Those cumulative 30-40 minutes should be the only time all week that you set foot outside without sunscreen. Speaking of sunscreen, you need to not only wear it, you need to wear the right kind and wear enough of it. Did you know that UV light from the sun actually comes in three categories? There's UVA, UVB, and UVC. Unless you live in Antarctica, you probably don't need to worry about UVC. The ozone layer absorbs most of these less-aggressive rays. UVA and UVB are a different story. These rays are the most harmful to our skin and our health. In general, sunscreens provide protection against UVB rays. The SPF indicator will tell you how much UVB protection you're getting. But SPF doesn't tell you anything about UVA, which is able to pass through glass (think car windshields and even windows in your home) and is most strongly linked to melanoma. There are sunscreens that also shield you from UVA rays, but you need to look for that information on the bottle. A higher SPF doesn't mean that you're getting UVA protection. I prefer that you include nontoxic sunscreen with mechanical (rather than chemical) protection, such as zinc oxide. Products such as this one (http://www.sephora.com/the-healthy-sun-screen-spf-40-face-cream-P261320) from Lavanila Laboratories can be found easily online or at Sephora. Don't leave it in the sun — it is without parabens and toxic fillers and will quickly melt. Once you've found a good sunscreen, be sure you use enough of it. If you're in the 30% of people using sunscreen, you may not have bragging rights yet. Most sunscreen users still use only 25–50% of the recommended amount. You need a full ounce to cover your body and another teaspoon for your face, neck, and ears. It's best to apply sunscreen at least 30 minutes before you go outside, and be sure to reapply immediately after you spend time in the water. In addition to sunscreen, I recommend that you wear dark sunglasses to protect your eyes and a hat with a brim to provide additional shade for your face. Try to stay in the shade or under an umbrella when you're outside as well. The more you can protect your skin, the less damage you'll accumulate over time.